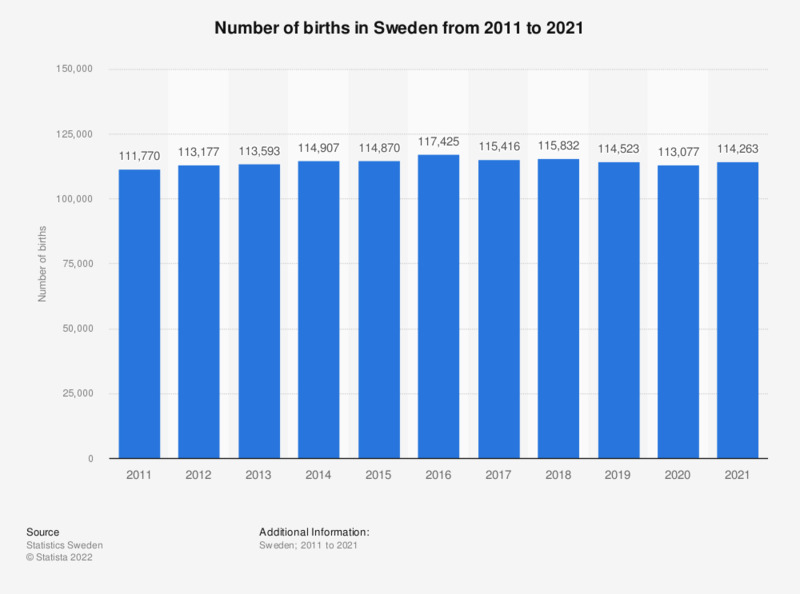 This statistic shows the total number of births in Sweden from 2008 to 2018. The number has fluctuated during the period. In 2016, the number of births peaked at 117,425. In 2018, 115,832 babies were born.